We did it!! My daughter won her Hyundai Veloster last night!! Contest Galaxy » Social » Winners Lounge » We did it!! My daughter won her Hyundai Veloster last night!! Thanks to all for your votes!!!! Enjoy it! and Congrats. Hope I will be able to post here soon too. woo hoo! congrats! one of the top 5 items any contestent/sweeper wants to win! WOW!!! Congratulations. I'm glad that I had a small part in your winning. Enjoy! i voted for her in april, do you remember ? Wow !! I remember voting for your contest last year !! i'm so glad for your daugther ! so great prize !!!! 14 Re: We did it!! 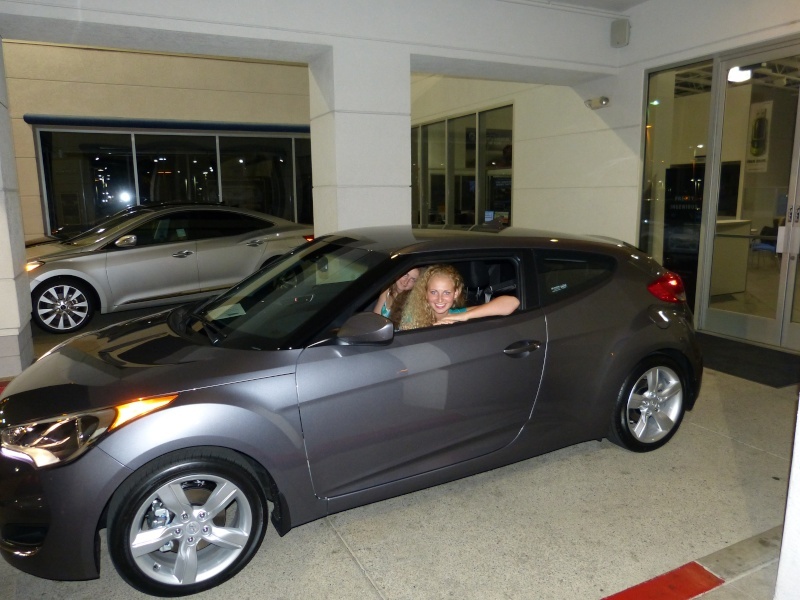 My daughter won her Hyundai Veloster last night! !